Otokar, with products used in more than 30 countries across the world, will attend at the KADEX to take place on May 23-26, 2018 in Astana, Kazakhstan. During the four-day exhibition Otokar will showcase its ARMA 8×8, COBRA II and URAL armored vehicles. Otokar, Turkey’s largest privately owned defense industry company, will participate in KADEX, the International Exhibition of Weapons Systems and Military Equipment, with its 3 armored vehicles, ARMA 8×8, COBRA II and URAL. Otokar presents ARMA 8×8 in KADEX; the modular multi-wheeled vehicle with superior tactical and technical features. Thanks to its superior mobility, high mine and ballistic protection, medium and high caliber weapon system integration options; ARMA is capable to serve modern armies in the real battlefield, peace keeping and human relief operations in most difficult terrain and climatic conditions. ARMA 8×8; is available in various types of configurations such as Personnel Carrier, Infantry Fighting Vehicle, Fire Support Vehicle, Mortar Carrier, Short and Medium Range Air Defence, Mobile Gun Carrier, Command and Control Vehicle with optional amphibious capability. ARMA is suitable for integration of various weapon systems from light machine gun weapon stations up to 25-30 mm medium caliber cannon and 105 mm cannon. One of the Otokar vehicles displayed in outdoor at KADEX is COBRA II. COBRA II, designed by the R&D team and built on the existing COBRA vehicle to serve security forces in various missions, features a modular platform with superior technical and tactical specifications. COBRA II delivers high performance in the most challenging terrain and climate conditions and stands apart for its 9-personnel capacity as well as high level of protection, firing power and mission-oriented equipment. COBRA II, which was added to Otokar’s product range in 2013, also comes in an amphibious version and offers a modular construction. 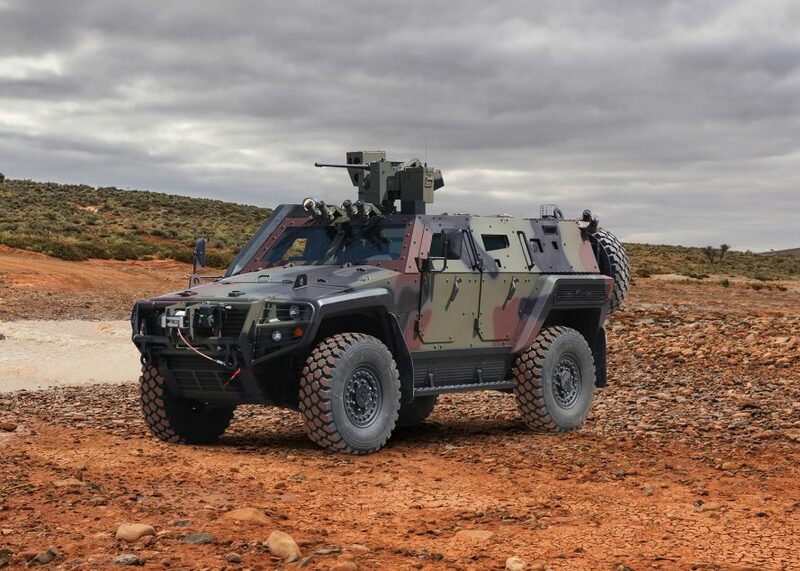 Designed and produced by Otokar in line with client expectations against present day threats, COBRA II offers outstanding level of protection against ballistic, mine and IED threats. COBRA II, subjected to rigorous climatic and amphibious tests in different parts of the world, traveled thousands of miles and also successfully passed the open sea swimming tests. COBRA II is in Turkish Armed Forces and security forces as well as export users. 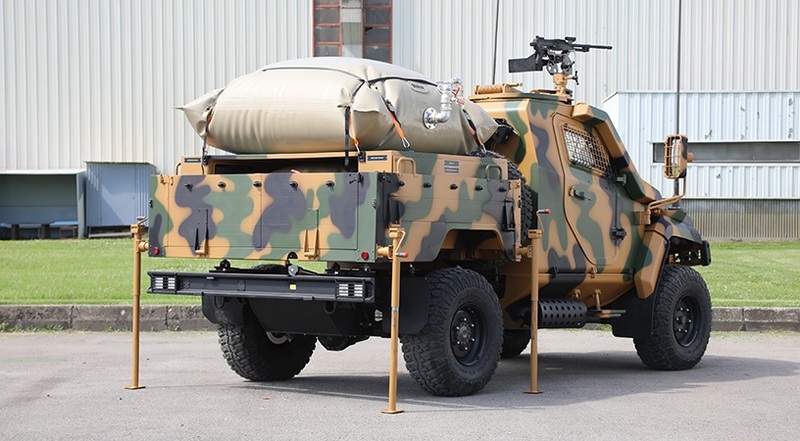 URAL, designed in particular to meet the present needs and future expectations of the internal security forces, has been successfully serving in the Turkish inventory, and now the Armored Cargo Carrier is exhibited in outdoor at KADEX. The vehicle, developed to deliver vital supplies such as fuel, food and water to troops deployed in dangerous and risky regions. With armored cabins, URAL ensures the personnel’s safety in these missions. The vehicle has an armored cabin, engine compartment, and a 1+1 seating capacity. The vehicle is also fitted with a 360-degree revolving gun-ring. The compartments in the rear are designed so that they can be easily and quickly change by the personnel using a special fixing mechanism, ensuring fast configuration for different missions.